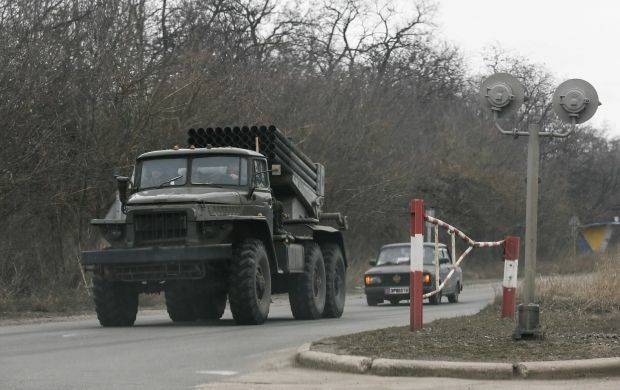 The invaders continue shelling from heavy weapons positions of the Ukrainian troops, the press center of the ATO Headquarters wrote on Facebook. In particular, on the Mariupol line, the militants used mortars of various calibers, shelling Lebedinske, Krasnohorivka, Talakivka, Shyrokine and Vodiane. Rocket-propelled grenades and small arms were fired on Shyrokine, Novohryhorivka and Pavlopil, while Shyrokine was shelled by an enemy tank. A sniper was reported shooting at Novotroitsk. Read alsoATO HQ: Occupiers in Donbas use Grads, IFVs, 1 WIA in last dayOn the Luhansk line, Russian occupation forces used MLRS BM-21 Grad firing 20 shells at our positions toward Novozvanivka. Vodiane and Popasna were shelled from 82mm mortars. On the Donetsk line, the enemy used 82mm mortars, firing at our positions in the area of Avdiyivka. Grenade launchers of various types were fired on Novozvanivka and Avdiyivka as well. In total, as of 18:00, 31 shellings were recorded. A Ukrainian soldier has been killed.